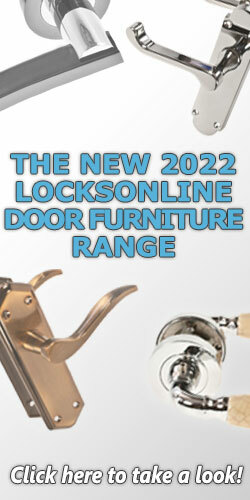 Looking for matching door handles or door knobs for your front door and internal doors? Or just need.. If you're looking for a solution for the receiving of mail, whether it be a new letterplate on your ..
View our complete range of Door Chains & Viewers.. When dealing with fire-reg approved fire doors, any modifications added to it must be fire-graded an.. Door holders and door stops are one of the most common door accessories we all see every day. Door ..
View our complete range of Door Hinges.. Here you will find a wide range of additional door accessories such as door knockers, door bells, vi..
Give your house an identity! We have a great range of different styled letters and numbers for your ..
Our complete range of door signage and protective plates offers a solution to most requirements you ..
View our complete range of Door Closers..
Garden gates can sometimes be tricky to furnish and find solutions for. That's why we have compiled..
For seals, weatherboards and thresholds for doors, look no further. Whether it is a fire-door or a f..